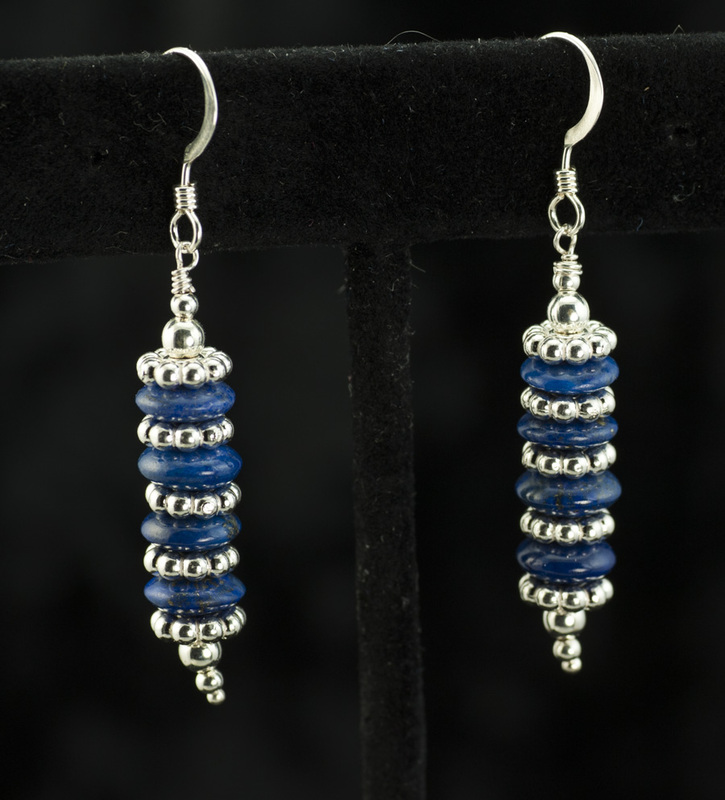 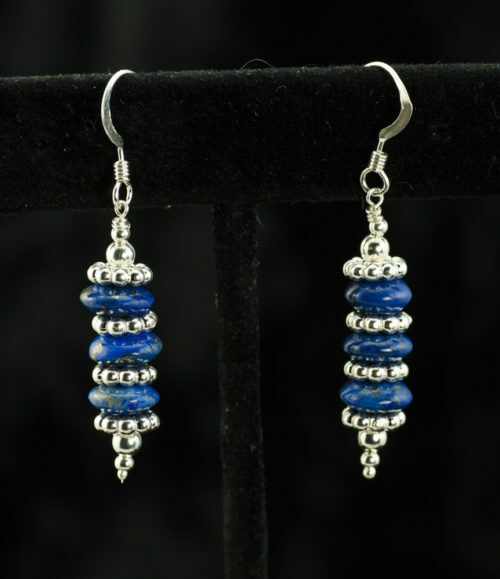 Elegant lapis and silver stacked earrings – the lapis stones and the silver spacers alternate. 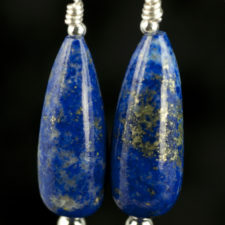 These earrings have 3 lapis rocailles and 3 silver spacers. 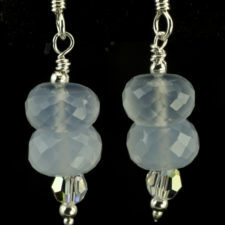 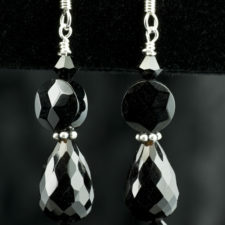 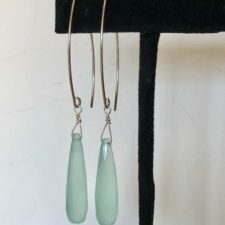 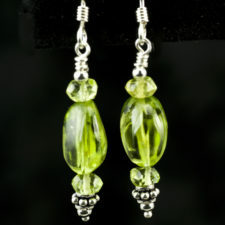 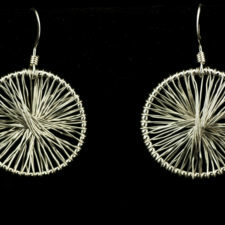 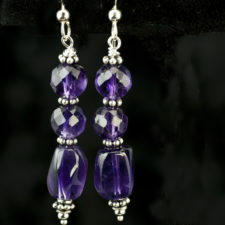 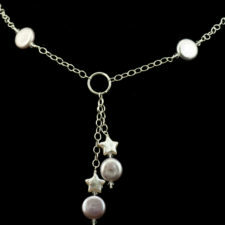 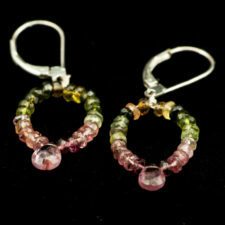 They are about 1.5 inches long including the sterling ear wires.